When I was a little kid and my mother, aunts would get together and make extravagant plans about my wedding, there would be only one caution thrown to me - beta, kisi se bhi shaadi karna buss Muslim se nahi. Although my family is a Hindu Brahmin family, we were never one of those rigid ones. No one told me what to wear or what not to, hanging out with guys was not a big deal nor was eating non-vegetarian, staying out late or even consuming alcohol. We were a relatively open-minded family except for the fact that I was told I could never fall in love with a Muslim. Initially, I never questioned this… Somehow, I never had any close Muslim friends so it really didn’t matter. “Well…” I named him and added “...he is a Muslim.” “A Muslim? That will never work out, you know that!” I was taken aback by this dismissal of my first ever love confession to my mom. “Well, you don’t know that, I didn’t start liking him because he is a Muslim” I argued. “That may be so but you wouldn’t be willing to leave us after marriage, would you? Cut all contacts? Is that what you want?” she said in a matter-of-fact tone “No…” I muttered “Then there is no discussion, is there? 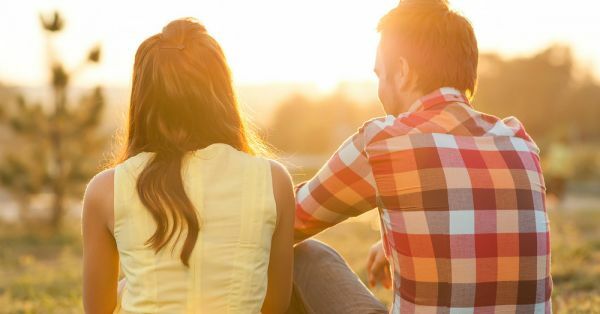 You can be friends with him but you won’t have a future with him” and just like that my love story was officially over as far as my parents were concerned. Unofficially, however, we were going really strong! We were meeting, dating, sneaking in and out of houses but I hated the fact that I had to lie to my family every single time I met him. What was worse? His family knew about me, about us, had met me and were pretty cool about it! That made me hate it even more, just the fact that his family actually liked me and mine did not even know he existed! I had a really great relationship with my parents so hiding stuff from them made me feel extremely guilty! However, both of us were just kids back then and as fate would have it, our behaviour towards each other started to change as college life progressed and two years later, slowly, short fights turned into long periods of not talking to each other. Though the fight was never based on religion, I couldn’t help but think if life would be easier had I been dating a Hindu guy... to have not hidden every tiny thing about our relationship in our real and virtual lives? (Yes, we could never post pictures on social media). Also read: Confessions Of A Girl Who Regrets How Her “First Time” Was… After a year long period of constant on-off and bickering, we came to realize that despite all this something kept us together. There was a level of comfort, love and longing that we shared, that I had never felt with anyone else. Believe it or not, this is the stuff they call soulmate material. By now, I was about to get done with my Post-Graduation and he was wrapping up with his engineering and we started to actually consider a future together. Except the issue of religion still remained. What was I going to tell my parents? How would I tell them? Even if my parents agreed after a tad bit of melodrama, who would explain this to my grandmother? My aunts? Their husbands? Their in-laws?! The list is endless! While my brother, who was living abroad, gave me two thumbs up, as long as the guy was nice and genuine, my cousins in India failed to understand my point of view. “Marriage is a tough change in life. You, as a woman, have to adjust to a different family, their lifestyle and now you want to adjust to a different religion too? !”, one of my married sisters told me. “But I wouldn’t have to. My boyfriend is an atheist, I am an agnostic and his family will not force their religion on either of us.” “These are all talks, what if they tell you to wear a hijab after you get married, what will you do then?” “I had a Muslim boyfriend once and we were pretty serious too until he asked me to start reading the Quran! Why should I read the Quran when he can’t read the Bhagwat Gita? I just don’t trust this community!” said another one. I was dumbfounded by the ghastly things I had to hear. One bad experience and the whole community was to be blamed? Also read: Confessions Of A Girl Who Is “Better Looking” Than Her Boyfriend Every single time there was a bomb blast or a terrorist attack anywhere in the country, I prayed to God no Muslim names turned up because I just couldn’t take another long discussion about this! That never happened, of course. What did happen, however, after four years of being together I still couldn’t tell my parents… And I still haven’t. Not because I am scared but because I'm waiting for the right moment. I know my life is going to be an uglier version of 2 States when I do tell them so, both my boyfriend and I have decided to wait for the perfect timing to drop the bomb (pun not intended!) because we love each other too much to let family tension ruin this perfect little haven we have created for ourselves! So we wait and until then, we continue to sneak in and out of the shadows and hope and pray that our love shines more than our two surnames.